Living beside a river, your neighbours often include those on the opposite bank. 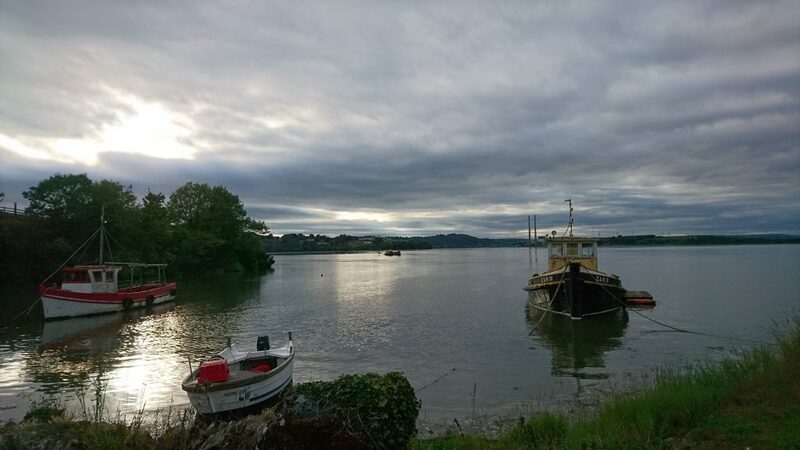 As rivers tend to be natural boundaries, these neighbours can be in different counties or indeed provinces and so it was between my grandmother in the Russianside Cheekpoint, Co Waterford and her neighbours of Nuke in Co Wexford. She sometimes knew more about them than she did about her fellow villagers, as they were in view out her window. If she saw a light on in Mrs Murphys at night she would worry that someone was sick, or when Josie Whitty had the fire lit early of a winter’s morning, she would be all praise for her activity. Nuke itself is an odd location. It’s tucked away in a small, but well sheltered bay and is really only visible from the opposite shore. The road down runs off a back road between Ballyhack and Campile, down a steep, narrow and winding lane that looks more like a persons driveway. It would be natural to think that the name is associated with a nook; defined as a crevice, hollow bay, recess, opening or a gap. Indeed for many years I spelled the name as I had seen it in some history books and charts as Nook, however a few years back Deena and I were in Ballyhack looking for a gravestone and I noticed many of the locals spelled it Nuke. Now blog regulars will know how much I value the local knowledge over written text, and as it turns out the locals have a sound footing in their choice of spelling. For according to Hore the placename has nothing to do with its geographic situation, but it is named for St Inicke (also spelled Inioque & Iniogue) who probably had a cell on the tip of the small headland to the south of the bay in the early Christian era. The Bay of Nuke coincidentally was also recorded as St Inick’s Bay. I’ve read numerous different spellings of the name I must admit, and in recent times Nook is the most prevelant. And although St Inicke was a new one on me, I’ve also seen Nugg, Nugge, Neuke, Le Newge. 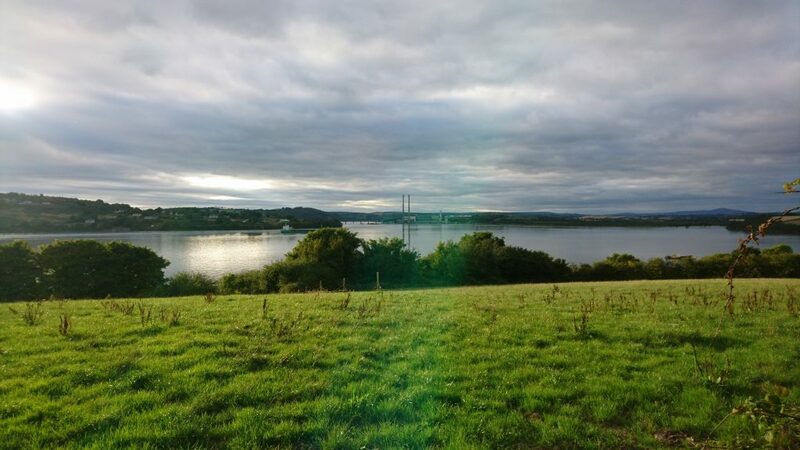 The history of the site however goes further back than early Christian, for it is recorded as a fortified promontory fort by Thomas Johnson Westropp He dated it to the Iron Age (from 500BC – 400AD depending on what you read). Westropp was a pioneer of identifying and recording such forts and between 1898 and 1922 he recorded 195 sites. Promontory forts are attributed various functions. Among the suggestions are that they may have been used as landing places for seagoing invaders and temporary refuges during inland attack. They have also been proposed as trading bases, ceremonial enclosures, observation posts, and livestock pounds. Obviously from my perspective any suggestion of landing spaces or trading bases between Irish Celts and their European cousins would be music to my ears. The sites were also associated with fishing, a vital source of food for the settlers. Nuke is perhaps best known however for the fortified church of St Catherine dating to the Norman era and the building of Dunbrody Abbey, which George Victor Du Noyer, the noted antiquarian, dated to the mid 14th Century. 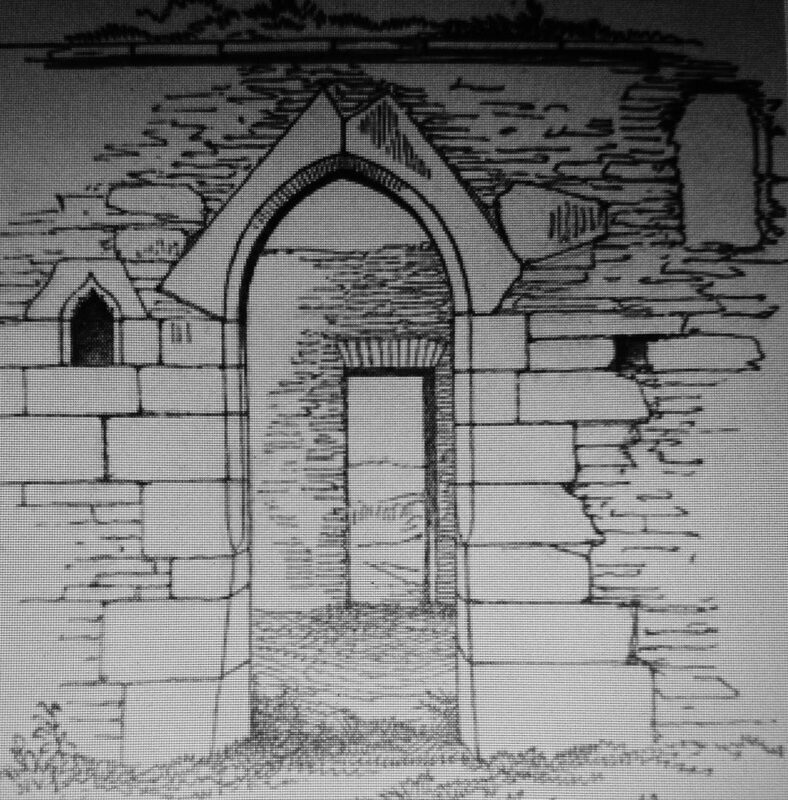 Du Noyer was an artist and geologist who over the course of a half century, travelled the length and breadth of Ireland, sketching and recording as he went, including many local scenes of our area. St Catherine’s had a fortified tower to protect the monks, but also had living quarters suggesting it was a space for the management of the river and commercial enterprises. In my own mind I would think this suggests activities such as the weirs, fish curing and possibly tolls or other controls on vessels at anchor and those using the Port of St Mary Dunbrody. St Catherine’s Bay stretched down river towards another fortification, Buttermilk Castle. The Bay of Nuke or St Inick’s Bay when we visited last September. The promontory is on the left. My own memories of Nuke are more to do with the Whitty family and the salmon driftnets set out in the bay as John (“Be God the man” his favourite phrase as I recall it and always associated with any story of him) and his family sat in the evening summer sun watching the corks as they lay out on the grassy bank of the headland, poised to jump into the punts to go immediately if they spotted a fish touching the nets. But in recent years we have tried to ensure our own children know it well too, visiting in the punt, or paddling across in the kayaks, and explaining the history of the site. 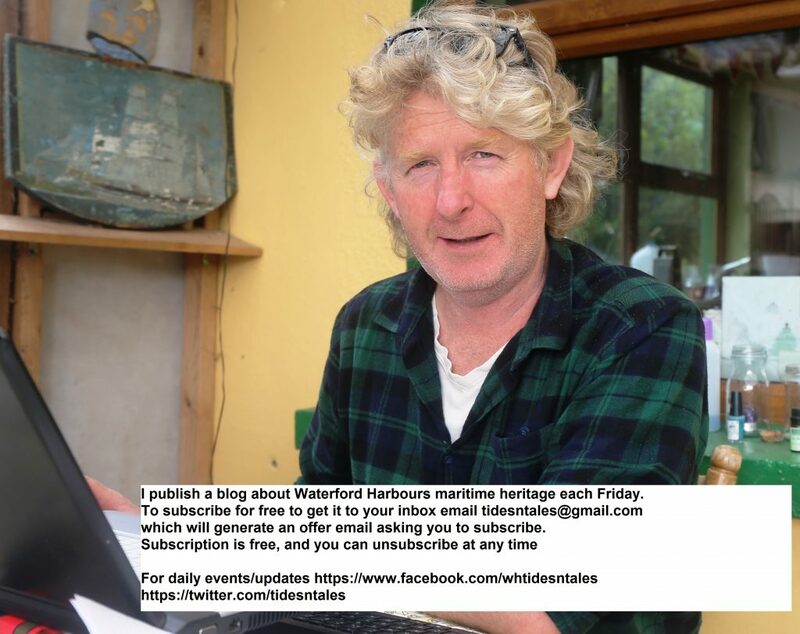 It’s to be hoped that the work of Noel McDonagh at Creaden Head on the Waterford side of the harbour further down towards Dunmore East will create a greater interest in the older period of history in the harbour area, the ancient traders of the past and vital artery that the rivers were. 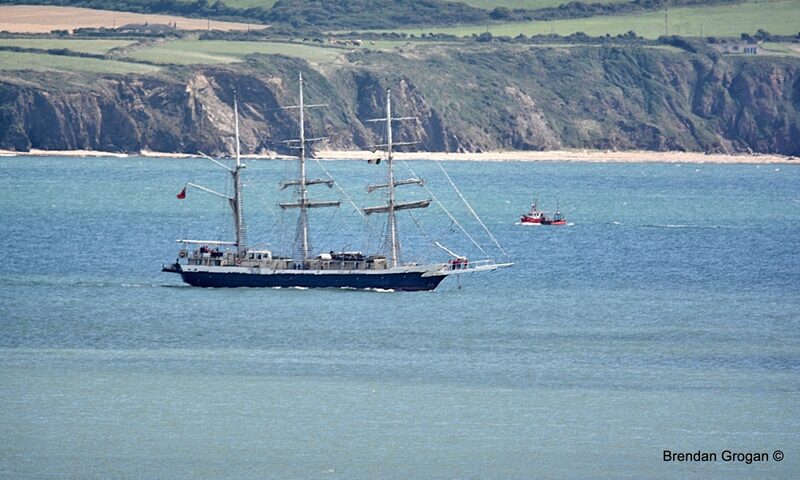 It might foster a bit more interest in the rest of the harbour and rivers too. But it is a warming thought indeed for me to think that amongst those who used the early promontory fort were fishermen and that they possibly sat out in the evening sun watching their nets, or fish baskets, in much the same way that I remember the Whitty’s doing. My Grandfather a New Ross man, 1892-1978 was married to a Waterford Walsh. One of his favourite sayings was very similar to the above. He would just come out with ‘Begob a man’ when surprised or amused by something. I reckon it’s a ‘censored’ variation of the above so as not to invoke the wrath of the Church. Andrew, I’ll say to you as I say to others, (just in case) never ever think I am coming across as condescending when I reply to an article or statement. I am just trying to help and recall the old stuff and old ways. Is this what is referred to as Neuk Castle in the 1787 map of Waterford Harbour? I believe so Sean. Basically a fortified tower on the Riverside of the church for accommodation purposes.